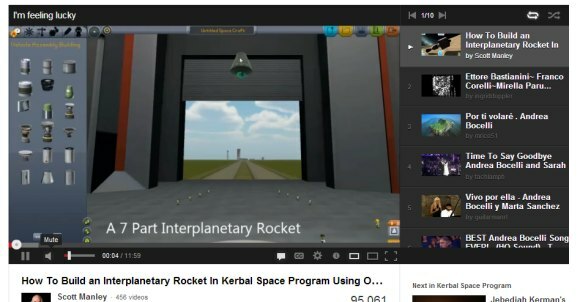 YouTube has a cool feature that generates a playlist of 10 recommended videos. Make sure you are logged in and visit this page. 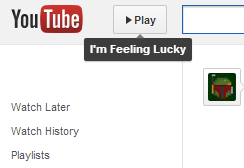 There's even an experiment that places a "play" button next to the YouTube logo, so you can quickly generate the "I'm Feeling Lucky" serendipitous playlist. If you don't like the playlist, click "play" again. Opera - press Ctrl+Shift+I for Windows/Linux or Command-Option-I for Mac, then click "Console"
Internet Explorer - press F12 and select the "Console" tab.